Ford Motor Company has announced the winners of the Ford Freedom Unsung Award, celebrating individuals who have made significant contributions in their communities. Honorees will be recognized for their outstanding achievements at a special reception at The Grammy Museum at L.A. Live June 19. Made possible by a grant from Ford Motor Company Fund, Ford Freedom Unsung salutes individuals and organizations that have positively impacted communities with achievements that inform and inspire others. Ford is bringing its national program to Southern California as part of its ongoing commitment to honor distinguished Americans who dedicate their lives to improving their communities and the world. Awards are given in five categories: Community, Education, Military, Youth and Organization. Award-winning actress Keke Palmer, known for her commitment to bullying prevention and other youth issues, will serve as the program’s youth ambassador. Kevin Frazier, co-anchor of “The Insider,” will serve as master of ceremonies. 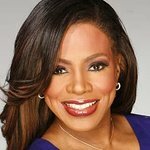 The recognition program will include a special performance by actor/singer Sheryl Lee Ralph.